Well, well, well. It’s time once again to shake ’em on down like only the Bastards can. This January we will go on a Winter Jaunt through Alberta and Saskatchewan. Dig out those old classic tour T’s… The Bastards are back in town!!! Ok peeps. I have sent money and audio. This is happening. Time to put your $ where your mouth is. 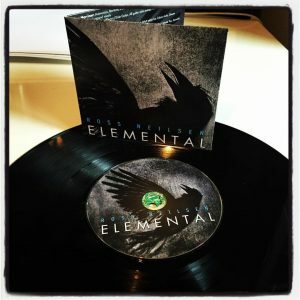 There will be a run (300) of ELEMENTAL on vinyl. Eta is late December/early January. You can pre-order your copy by sending $40 (includes shipping) via E-transfer with the password ELEMENTAL to rossneilsen@gmail.com PLEASE INCLUDE YOUR MAILING ADDRESS. Please note the proper spelling of my last name when emailing. Two E’s and no O’s. I’m trying it this way instead of indiegogo or Kickstarter so I don’t lose the 15% they take. If you prefer to snail mail $ email me for the address. I’m very excited to be offering this on wax. I hope all the peeps who have been asking step up to the plate to order one. For the super vinyl nerds i will have at least five test pressing I will be selling for $85 (shipping included). And then they were gone…How are you adjusting to life without Hip? On this weeks episode we spin more Hip in honour of the band’s finale and we have a guest on Killer Tunes. Lisa Greig drops by to discuss grief, loss, death and dying. Interesting stuff. you can check Lisa’s website out here: LISA GREIG Do it!! !